Three third-party accessory manufacturers have been announced as joining the Micro Four Thirds standard, meaning that a host of new accessories for Panasonic and Olympus mirrorless cameras should be on the way soon. The three companies are Astrodesign, Kenko Tokina and Tamron. The Micro Four Thirds standard was jointly announced by Olympus and Panasonic in 2008, with each releasing several versions of its mirrorless models in the intervening time. The joint standard means lenses designed to fit compatible Panasonic cameras, will also fit Olympus models, and vice versa. Mirrorless cameras using the Micro Four Thirds standard feature a smaller sensor than compact system cameras produced by Sony and Samsung, which use APS-C sized sensors. They are bigger however than those found in Nikon and Pentax CSCs. Astrodesign is a Japanese company that designs and develops professional video equipment and testing and measuring equipment, while Tokina and Tamron are both Japanese companies that are well-known for producing lenses and lens accessories. Sigma announced it would be producing MFT compatible lenses back in February 2011, unveiling the first two lenses in its line-up at this month's CES trade show in Las Vegas in the form of 19mm and 30mm fixed focal length lenses. 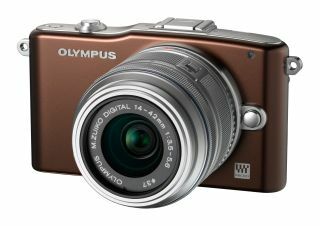 Writing on its website, Olympus said, "With the addition of exciting new products from these companies, the Micro Four Thirds line-up will become much more diverse, further increasing the potential of this advanced digital imaging system." None of the companies named have specified any of the new products it will be working on, but stay tuned for more updates as they arrive.